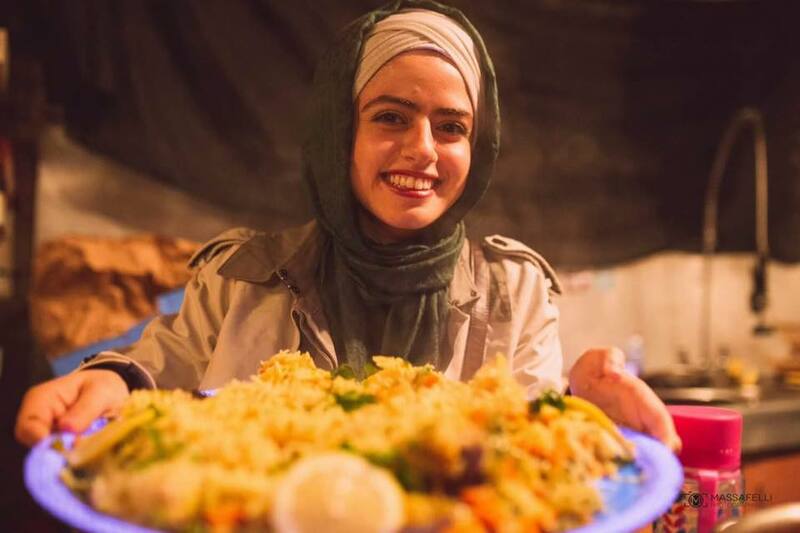 We believe that activism and organising makes the world a better place, and Solidarity Dinners challenge the social isolation and racism that the asylum process creates, if even just for a few hours. How? By coming together as people who have migrated to Ireland and local people, to share a meal in the spirit of friendship, fun and solidarity. How did the Solidarity Dinners start? We held our first Solidarity Dinner in September 2016. It was a fundraiser for a kitchen working in the refugee camp in Dunkirk. We felt it was important to have an event that could raise funds for grassroots groups working with refugees and migrants, and act as a platform to raise awareness about the violent, anti-migrant policies of the EU and Ireland. The first dinner was small and almost all of the crowd were white and Irish. It was still a great fundraiser and awareness raiser for issues created by the border crisis, and it attracted a crowd that was a little different from the usual activist circles that often attend such events. We began to collaborate directly with MASI (Movement of Asylum Seekers Ireland). A portion of funds raised at every dinner went directly to them, and Lucky, a member of MASI, began to speak about Direct Provision at every dinner. We always agreed on a fundraiser for a particular group for each dinner, with half going to MASI, and half to that group. The dinners grew bigger and bigger. Many more people started to come from centres in Mosney, Gardiner Street, Killarney, Ballaghaderreen and others. There were two reasons for this- our strong connection with MASI, who have activists living in most centres, and the fact that many members of RAMSI had started going to Mosney to do English classes, playgroups, assist with casework etc. This allowed us to make strong connections with DP residents and give the MASI activists living in centres a good way to explain the event to others. Also crucial has been the fact that RAMSI members and dinner attendees with cars have been driving up and down to Mosney on the day. This car-sharing has allowed people to come to the dinner, enabled them to meet new folks, and most importantly reciprocate the hospitality and invite people in for tea or coffee or a bit of food. This has been wonderful, as it makes the event something that is really about solidarity, not charity.